Creamy with a hint of sweet and spicy sums up this pasta dish. 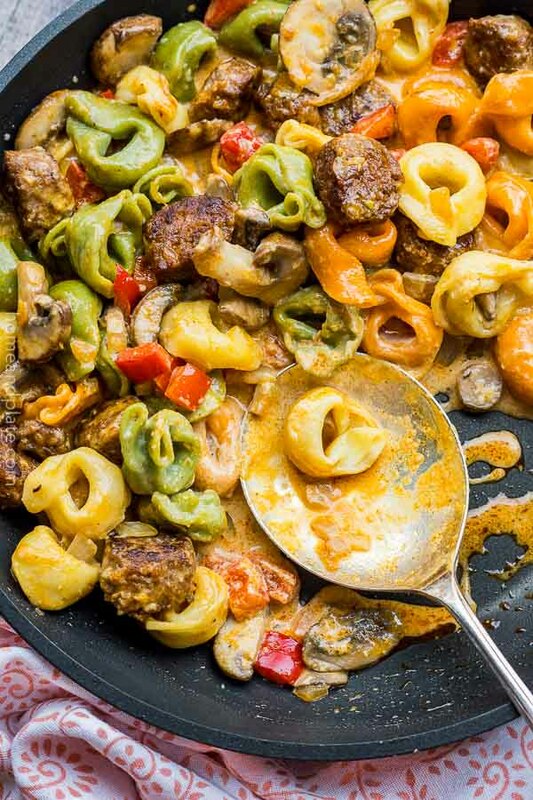 Spicy sausage like chorizo or hot Italian sausage work well for this recipe. This dish is versatile and easy to make substitutions. Not everyone is a fan of mushrooms or red peppers. So many other would vegetables work for this recipe. Toss in the favorite vegetables you already have in your fridge. I think any kind of squash would work well as would zucchini. Asparagus and peas would add green goodness to the dish. Busy weeknights are a regular thing in my household. 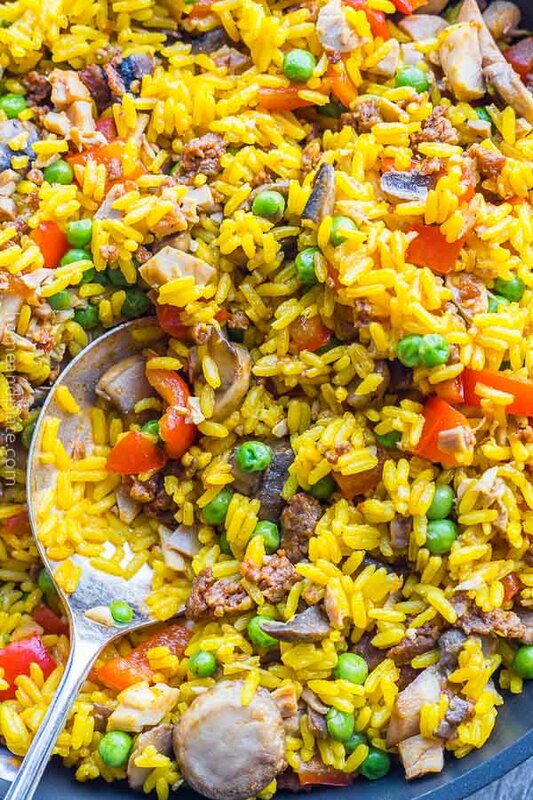 This recipe is flavorful and easy to get on the table quickly. 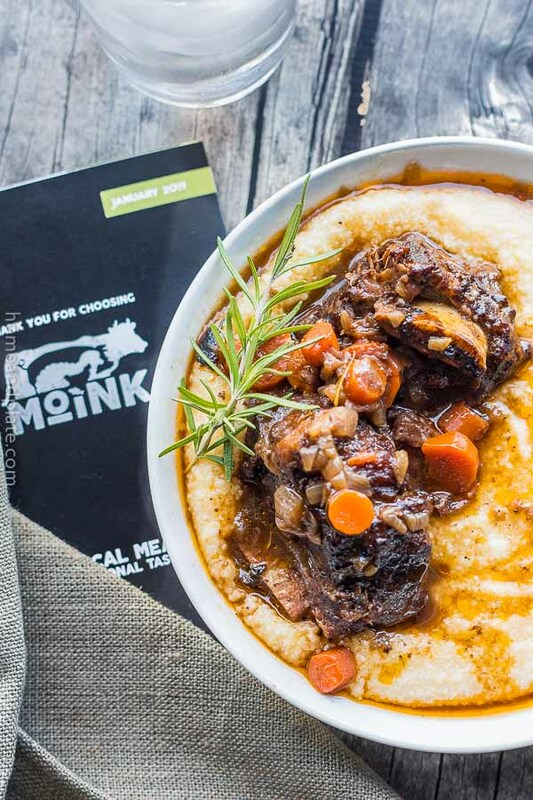 A quick meal that’s hearty and fulfilling paired with a nice glass of Cabernet Sauvignon allows us to catch up on the day. Preheat the oven to 350 degrees. Place the sausage links on an aluminum foil lined pan and bake for 20 minutes until the links are pink. Remove from the oven and cut into slices. Alternatively, if the sausage is already ground when purchased, add to a pan and brown until cooked through. 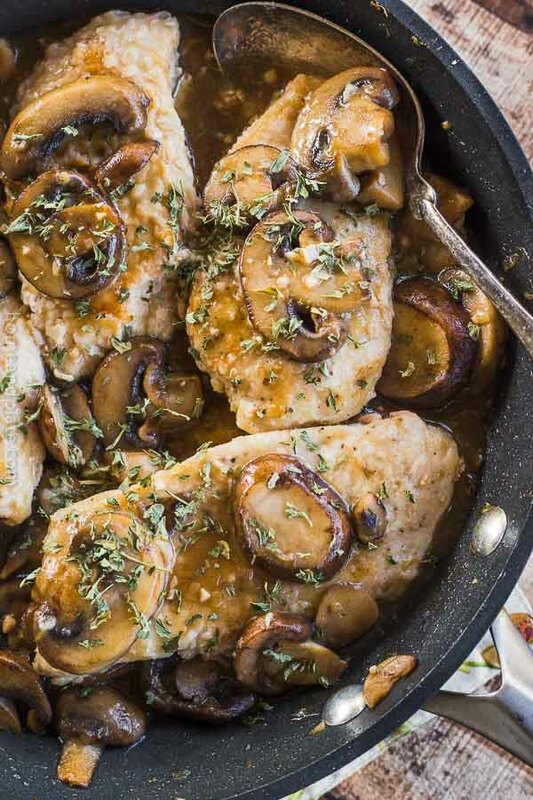 In a skillet melt 2 tablespoons of butter and sauté the mushrooms , onion and red peppers for about five minutes or until the mushrooms soften. Add the salt and pepper, garlic and thyme leaves and stir for another minutes. Remove the mushroom mixture to a bowl. In the same sauce pan add the last 2 tablespoons of butter, cream and Parmesan cheese and stir to melt and thicken. Add the mushroom mixture and sausage and stir to coat. 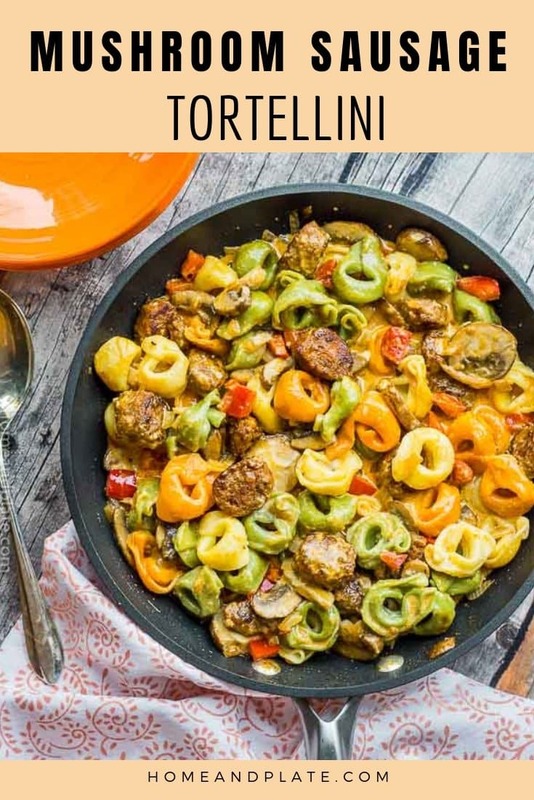 In a separate pot cook the tortellini according to the package directions. Drain. 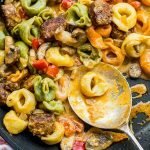 Add the tortellini to the cream sauce to combine. Serve immediately and sprinkle each plate with Parmesan cheese. 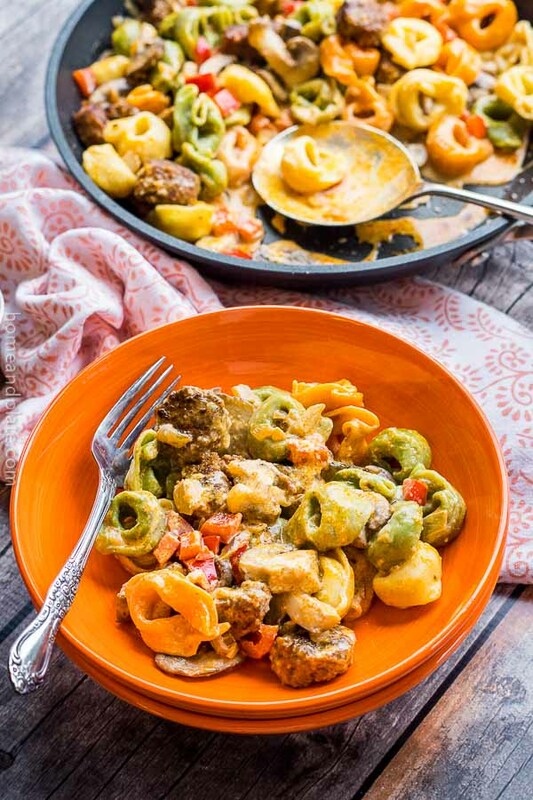 "description": "Earthy mushrooms, sweet red peppers, spicy sausage and cheesy tortellini is smothered in a creamy Alfredo sauce and is served in under 30 minutes. 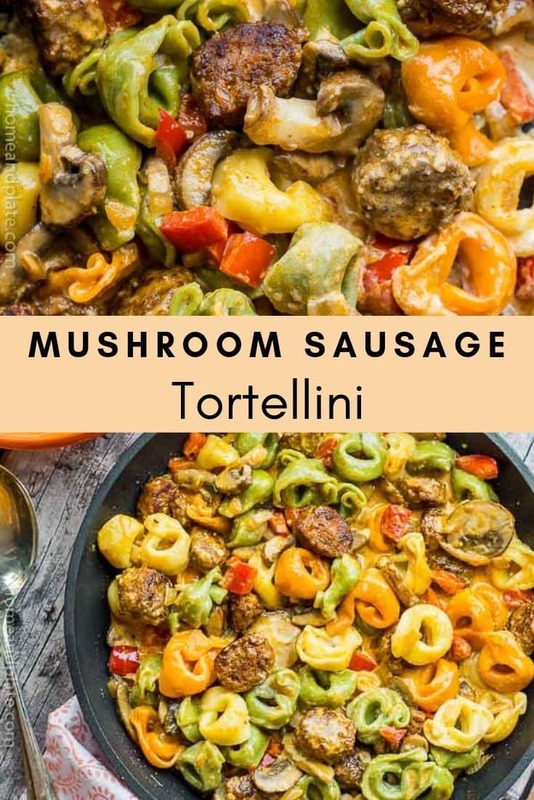 ", "recipeIngredient": [ "1 pound Italian sausage", " 1/2 cup heavy cream", " 1/4 cup Parmesan cheese", " 4 tablespoons butter", " 1/2 onion chopped", " 4 ounces sliced Baby Bella mushrooms", " 1/2 red pepper, chopped", " 1 teaspoon garlic, minced", " Salt and pepper", " Thyme leaves", " 1 (9-ounce) package cheese tortellini" ], "recipeInstructions": "Preheat the oven to 350 degrees. Place the sausage links on an aluminum foil lined pan and bake for 20 minutes until the links are pink. Remove from the oven and cut into slices. Alternatively, if the sausage is already ground when purchased, add to a pan and brown until cooked through. This dish is so up my alley! Love any dish Italian. Thanks for your support! This looks hearty and delicious! Perfect for a cold night’s dinner. Thanks Natalie…perfect for this winter cold weather. You had me at mushroom… seriously! 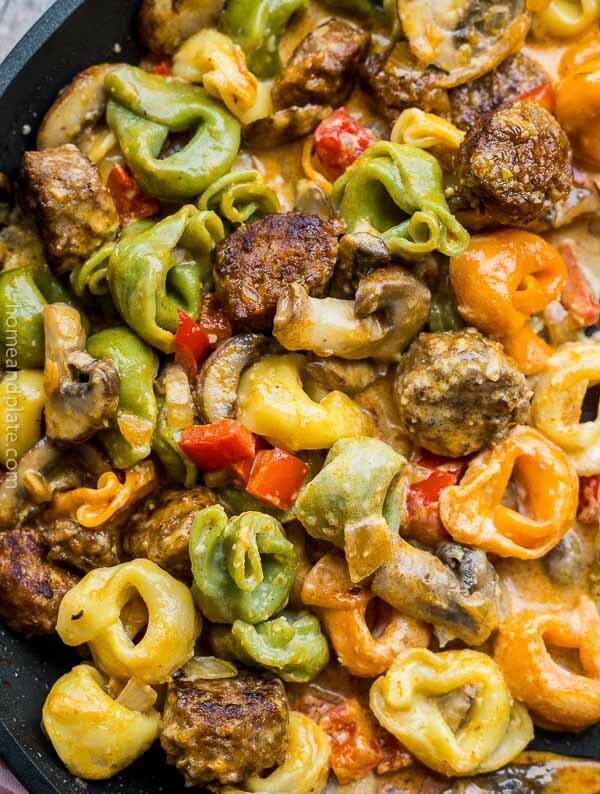 I am up for any pasta with mushroom in it and tortellini is my favorite.